Great tasting Italian-inspired meals at home? Oh yes! Try these delicious stuffed shells! Tuscany! What comes to mind when you hear that? I envision rolling hills of greenery with fruitful vineyards, row by row. Next, I see a rustic dinner table bedecked with lovely delicacies of a great Tuscan meal: bread, cheese, legumes, vegetables, tasty fresh fruit and a big bottle of wine. Finally, my mind travels to the Old World Renaissance art that Tuscany first inspired. Pretty as a picture! I love Italian food. Don’t you? Until now, I enjoyed Italian cuisine as restaurant fare only. Whenever I made it at home, it somehow fell short. Disappointing. Having many Italian friends, I’ve enjoyed wonderful Italian food in their homes but it took hours – many hours- for them to make it, simmering the sauce from the crack of dawn. I wasn’t going to beat that and had no desire to try. Guaranteed, I’d burn it or something equally disastrous. No way would I tend to a pot of sauce all day long. Love the flavor but I am not that devoted. Then the authentic Italian taste of Bertolli® Five Cheese Sauce came into my life. Their 150 years of experience creating superb sauces gave me hope! The taste of the best sauces of Tuscany in my own kitchen, prepared with ease? And it is so reasonably priced. Well, let me tell you I was so excited to try it. What would I make? Spaghetti and meatballs? Chicken Parmesan? No, I opted for something I have never made. 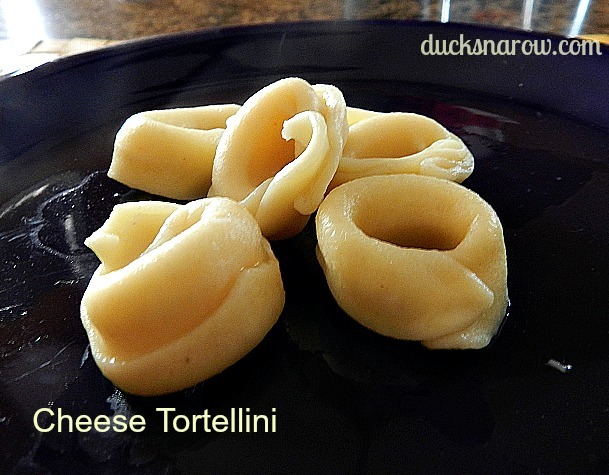 Cheese-stuffed pasta shells baked with Bertolli® Five Cheese Sauce. It turned out great! Not only did I love it but hubby, who doesn’t accept change easily, was exuberant. “This is so good. I can’t believe it!” he said. A recipe so easy to make and tasting so good immediately goes on my “make it again” list. May I add that hubby said we now have our go-to sauce! Serving Suggestion: complete the meal with a small batch of meatballs on the side, also adorned with Bertolli® Five Cheese Sauce and a crisp Italian tossed salad on the side. Perfetto! 1. Start with Bertolli® Five Cheese Sauce. 2. Prepare pasta shells according to package directions and lay out to drain. 5. Blend in parmesan cheese and 1/2 of the mozzarella in a bowl along with seasonings. 6.Fill the shells, using a spoon. 7. Lay the filled shells back on the tray. 8. Pour 1/2 of the jar of sauce onto the baking dish, spreading it evenly. 9. Place filled shells in the pan, open side up. 10. Cover with the remaining mozzarella and Parmesan cheeses and sauce. 11. Bake uncovered for 30 minutes til bubbly.